Families of pupils who currently receive instrumental music tuition have until Friday (May 11) to have their say on upcoming changes. West Lothian Council has sent a survey to all families of pupils who receive music lessons at school to ask for their preference on the future shape of the instrumental music service. In April, Education Executive instructed officers to survey families who receive tuition on four possible revised models of instrumental music provision for West Lothian, as well as engage with the young people involved. An approved budget of £0.5 million was previously approved by the council in February, for a revised model of instrumental music provision which maintains a substantial level of tuition. A West Lothian Council spokesperson said: “We would encourage families to carefully consider the survey, and agree which of the options would be their preference. The views we receive, along with the engagement carried out with the young people, will help to agree the new instrumental music service for the future, within available resources. Meanwhile Linlithgow MSP Fiona Hyslop has highlighted the issue of music tuition cuts in West Lothian during oral questions in Parliament last week. Ms Hyslop said in the Parliamentary chamber.“Local government as a whole in Scotland has had a real-terms budget increase. 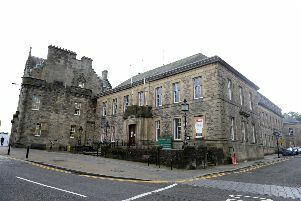 West Lothian Council, in particular, has had a budget increase. It is shocking that a county that has been championed across Scotland and regarded as providing some of the best music tuition would contemplate abolishing strings and percussion tuition. “After the intervention of Scotland’s Commissioner for Children and Young People, who identified that children and young people had not even been consulted about provision, the council is now looking at that again. I urge the council to do so seriously.